The properties and benefits of Aloe Vera are used as a remedy for internal disorders, skin problems, joint and muscle pain and cosmetic treatments. The composition of the plants contains various active substances such as vitamins, minerals, amino acids, polysaccharides, enzymes, lignins and saponins, etc. 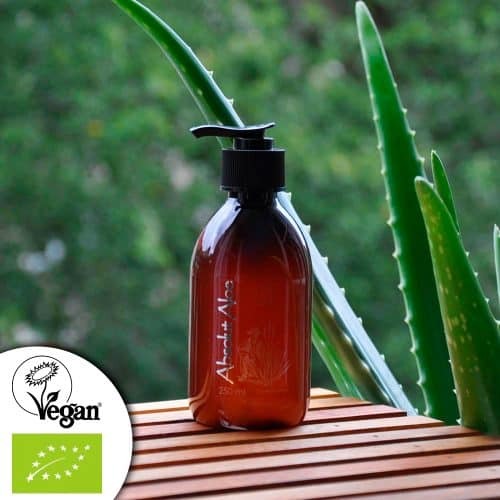 Today many people rely on Aloe Vera because of its properties and benefits for e.g. skin hydration, cell regeneration, wound healing, treatment of psoriasis, dermatitis, dandruff, seborrhea, sunburn or even for internal use in e.g. ulcers, gastritis, heartburn, oral health, cholesterol, cancer, AIDS, etc. Aloe vera is a medicinal plant from nature that has been known for thousands of years. Already Cleopatra and Nefertiti worshipped the Aloe Vera plant because of its caring effect and the variety of possible applications as “Queen of Medicinal Plants”. To guarantee the highest quality of the moisturizing active ingredients, our product is made from 100% cold-pressed and highly concentrated Aloe Vera juice, obtained directly from the plant. 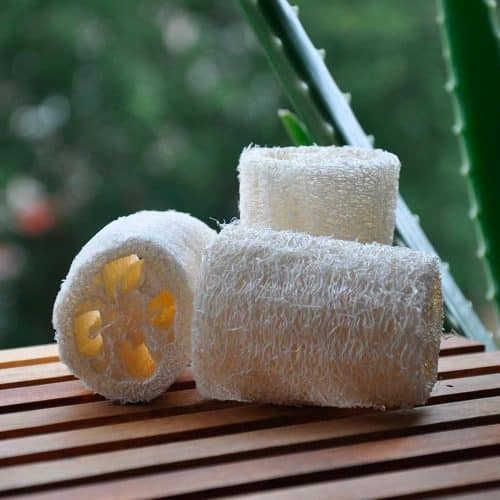 The naturally contained ingredients such as antioxidants, mineral salts and vitamins provide a skin-soothing, wound healing and anti-inflammatory effect, even in sunburn. The antioxidants contained also contribute to a highly effective anti-aging care. 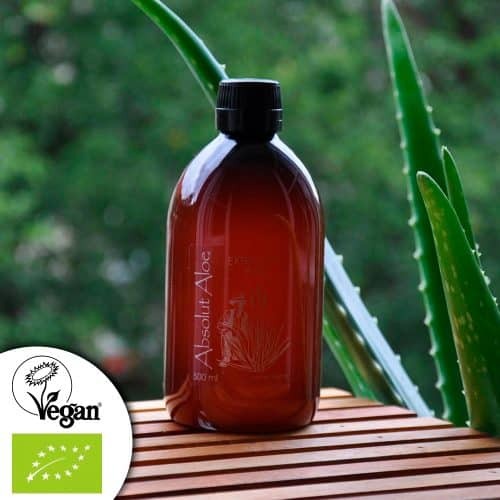 Skin care from 100% cold-pressed and highly concentrated organic Aloe Vera juice, directly from the Aloe Vera plant. With 90.1% Aloverose, the main active ingredient of Aloe Vera and quality criterion for its effectiveness. Natural moisturiser in the form of a body lotion for the body, face, forehead, eyes and décolleté. A must for daily facial and body care. Provides intensive moisture. For a shiny, clean and soft complexion. Against dry, impure skin. Reduces scars, pigmentation and age spots. Our moisturizing gel contains a number of highly effective antioxidants and is, therefore, an optimal anti-aging agent. For smooth, firm, silky and beautiful skin – the DIY Wellness cure for your skin. The gel has a moisturizing, wound healing and anti-inflammatory effect. Our skin gel supports self-healing in case of sun damage and is very suitable for Après Sun / After Sun body care. Very helpful for sunburn, burns, insect bites, neurodermatitis and skin irritations of all kinds. Also very effective against skin impurities as well as acne and spots. 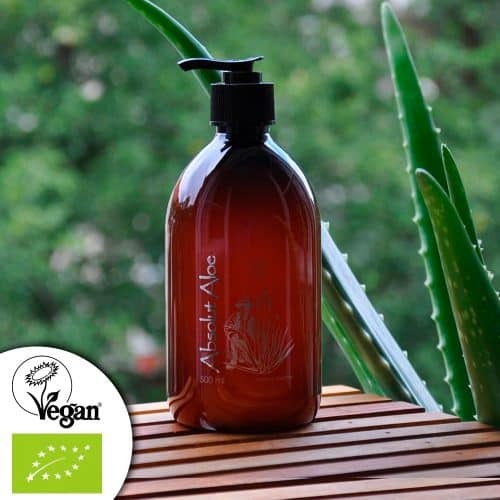 Our moisturizing lotion from the Aloe Vera plant is vegan without parabens, silicones, microplastics, pesticides, fragrances or dyes – no animal testing. Years ago I bought the gel at a local market in Fuerteventura. The same packaging and the same contents. In my opinion, pure gel as described. Good product for skin and heal wounds. Natural product that when you try it you realize, really, that is what they say it is. Good packaging, really smells like aloe vera, works! ...Shipping good. First of all I must say that the order arrived very quickly. The gel spreads well, penetrates well into the skin and feels very nice after use. My skin feels soft and less greasy. I am very satisfied! Sensational gel I've been using for a long time. I usually use it in the morning and at night. In my opinion, it has a soothing and firming effect on the skin. I'm used to the smell of aloe vera, it leaves quickly after use. I'm very happy with the aloe vera gel, it leaves my skin very soft and the most I like is that it has no perfumes or artificial aromas, it really smells aloe vera. I recommend it.